Deadline.com is reporting that Kiss Kiss Bang Bang director Shane Black is in final negotiations with Marvel Studios to helm Iron Man 3 after franchise director Jon Favreau dropped out of project to focus his efforts on Disney’s Magic Kingdom. Black is a notable choice in that he revived Robert Downey Jr.’s career with Kiss Kiss in 2005. Three years later, the formerly-troubled actor stepped inside Tony Stark’s gold-and-crimson armor for the first time, successfully making the transition to bonafide action star. Like many fans of this series, I was disheartened when I learned Favreau would not be coming back, as I feel he really nailed the nuances of the character in the first two films. Having said that, it will be interesting to see Black and Downey Jr. team up once again. 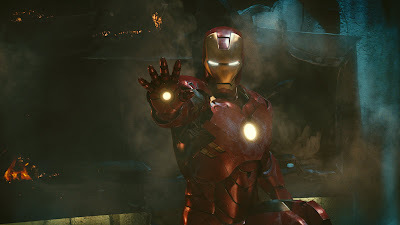 Iron Man 3 is slated for release on May 3, 2013—nearly one year to the day after Ol’ Shellhead teams with Captain America, Thor, Hulk and other Marvel icons in Joss Whedon’s The Avengers.